I try not to collect things; I try not to own things. 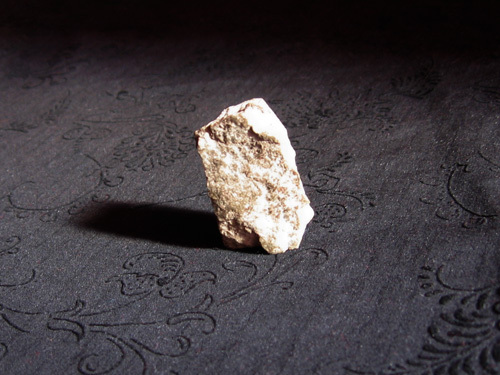 Of all of my adventures all over Europe (about twenty countries in the last few years), I’ve only ever kept one souvenir: this small rock that I pried out of the earth within the walls of Cetatea Poenari — the castle built by Vlad Ţepeş, aka Vlad the Impaler, aka Dracula — in the Transylvania region of Romania. It’s about an inch and a half tall. I carry it everywhere in the pocket of my backpack. Vlad forced his imprisoned political enemies to build his castle for him, and I love to daydream about the guy who put this particular rock in place, and what he’d think if you told him some guy from the New World would steal it five hundred years later and carry it back to France (on an aero-plane no less, but let’s not overwhelm the poor chap), and later to America and a bunch of other exotic lands. 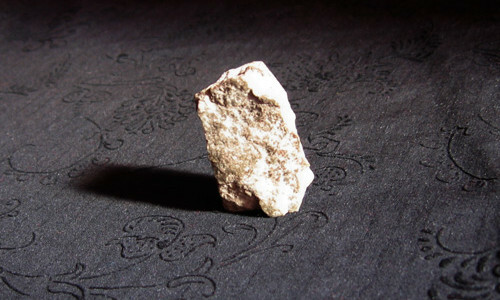 I like to pretend the rock is cursed. And just because I’m pretending doesn’t mean it’s not. I did the same from poenari castle. I actually dug further behind the rocks and pried a piece of the wood that was part of the framing and structure. I have this piece in my collection.